JTBC's hit family drama Sky Castle has become the most discussed drama over the past few weeks, knocking “Goblin” out of its top spot and setting a new record for the highest viewership ratings in cable network history. With the drama increased in popularity, the young and rookie actors also gained much attention for their good acting. Chani plays as Woo Joo, the kind and friendly high school student who is loved by everyone. Woo Joo inherited his parents' attitude, always care and have consideration for people. We would say the most lovely family in Sky Castle. Woo Joo's parents did not interfere with his academic life and even without professional tutoring, Woo Joo still manages to receive the highest scores in the school. Their arrival triggers many changes in Sky Castle. Acting-idol, Chani shows much charisma as the character Woo Joo, those crying scenes really touched our heart and we end up getting tears in our eyes. Before debuting as the member of SF9, Chani was a child actor. He previously acted as the supporting roles in the hit dramas such as "Signal", "The Queen's Classroom", "The Innocent Man' and more. Kim Hye Yoon plays Han Seo Jin's (starring Yum Jung Ah) eldest daughter, Kang Ye Seo who a top student, obsessed with the goal of getting into Seoul National University's prestigious medical school. Growing up in a family with generations of doctors have also made Ye Seo dream to become a doctor like her father. She gets stressed out when she's not the highest-ranked student in her school. Kim Hye Yoon has well-portrayed the toxic personality of Kang Ye Seo, made viewers seethe with rage when watching Ye Seo on screen. (ps: Big applause to the actor) Kim Hye Yoon previously acted in hit dramas such as "I Can Hear Your Voice", "Goblin", "The Legend of the Blue Sea", "Tunnel" and more. Lee Ji Won, however, plays as the youngest daughter who is sensitive, tough and always thinks herself as the outsider in the family. The parents always focus on the smart eldest daughter, Ye Seo and neglected Ji Won. No matter how high grades she received in her studies, her mother will always think she's 98% lacking. Despite starting her acting career at such a young age, Ji Won did not fail to impress the viewers with her excellent acting as the character Kang Ye Bin. Ji Won started her acting career in movie "Annyeong, Thui" in 2014 and has been featured in the hit drama "The Producers" acting as the child, Tak Ye Jin. Kim Dong Hee plays as Cha Seo Joon, the older twin sons of Kim Byung Chul (starring as Cha Min Hyuk) and Yoon Se Ah (starring as Noh Seung Hye) and also the twin brother of Jo Byung Gyu (starring as Cha Ki Joon). Seo Joon is a soft-hearted high school student who is kind and hate to compete with others. Although he did not agree with his father who always telling them to "aim for the top", but he will remains quiet and follow his father instructions. Ki Joon, however has a cool and chic personality. He will speak up in defense for his mother and brother when the father yelling at them about the test results. Although the twins have different personalities but the brothers will protect and take care of each other. JYP Entertainment rising rookie actor, Kim Dong Hee showcased Cha Seo Joon's innocent image and even won the hearts of many with his great visual. Kim Dong Hee made his debut in the popular web drama series, 'A-Teen'. Debuted in 2015, Jo Byung Gyu has already featured in various drama and acted different roles. Byung Gyu started his acting career in the hit drama "Who Are You: School 2015" and previously also played as the supporting roles in dramas - "The K2", "Queen For Seven Days", "Radio Romance" and many more. Recently it was also reported that Byung Gyu will be joining tvN's upcoming drama "He Is Psychometric", along with GOT7's Jinyoung and actress Shin Ye Eun. Park Yoo Na plays the role as Cha Se Ri, the only daughter whom the parents were proud of. In order to not disappoint her parents who have high hopes on her, Se Ri choose to lie about her academic and even pretended to attend Harvard. Se Ri's return gives a major change to her family. Park Yoon Na made her debut in 2015, played as the high school student, Kim Kyung Eun in drama "Cheer Up". Yoon Na also acted in dramas "ID:Gangnam Beauty", "The Package" and "Stranger". Lee Yoo Jin plays the son of Oh Nara (starring as Jin Jin Hee), Woo Soo Han who has the similar personality as Kang Ye Bin. Both Soo Han and Ye Bin are lack of confidence and have no interest in studying, but the difference is that Soo Han has his freedom when comes to study and received lots of love from his family members. 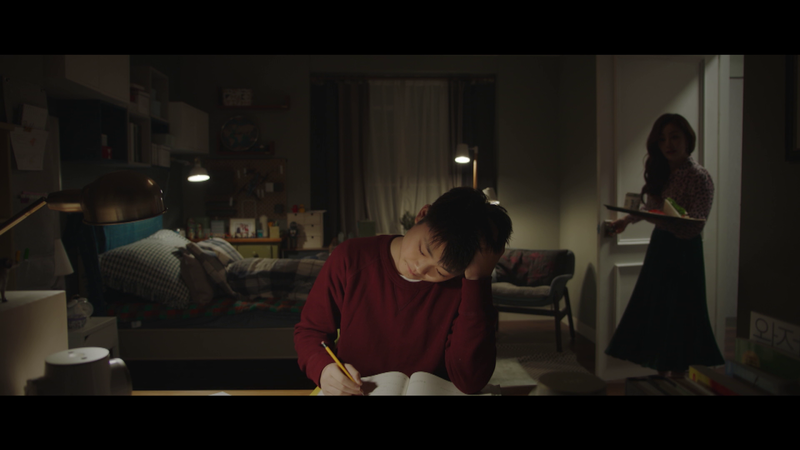 The young and rookie actors have won the hearts of many with their excellent portrayals of the students who have to go through academic stress and dealing with pressure received from their parents. Their great acting performances definitely is a plus point for the whole drama. 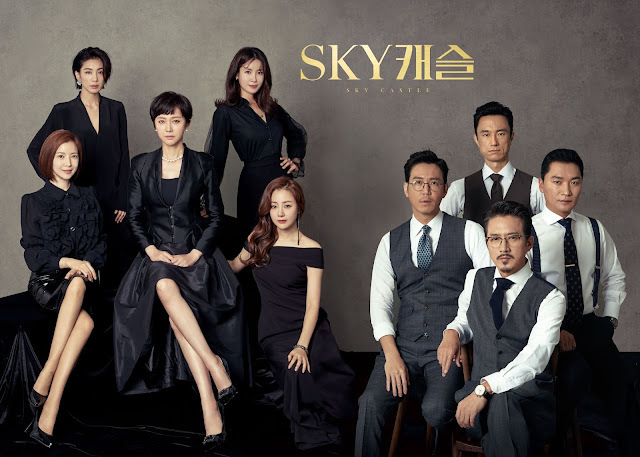 The drama centred around 4 groups of elite families who stay in the luxurious residential area called Sky Castle, which the title "SKY" refers to the prestigious universities in South Korea - Seoul National University, Korea University and Yonsei University. The main plot focused on the efforts of the rich and ambitious women strive to further their husbands' careers and to get their children admitted into top tier universities. 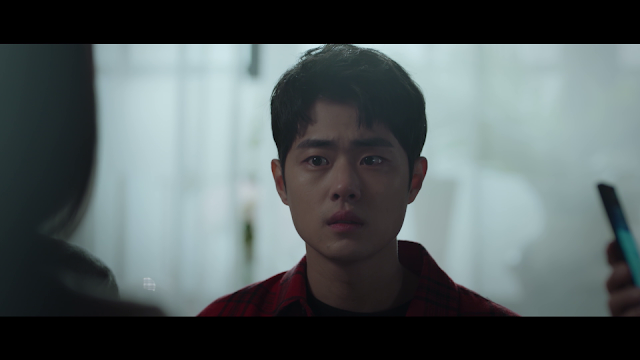 Sky Castle came to an end with a successful 20-episode run, but fret not as you still able to catch the full series of Sky Castle FREE on viu.com or on the Viu app.